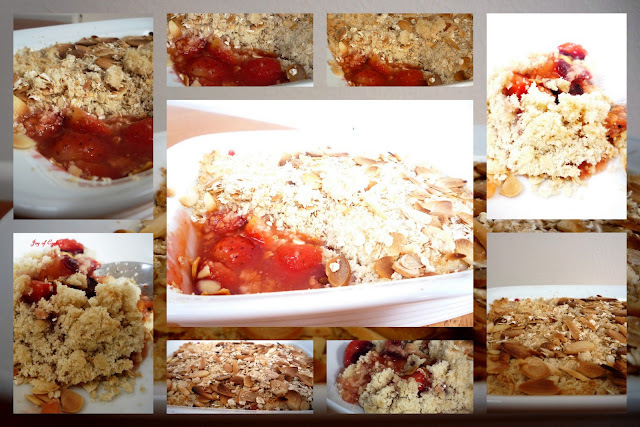 Jagruti's Cooking Odyssey: Strawberry and apple crumble ! Lovely crumble recipe. Surely the filling would win the hearts of all !! Simple gorgeous and beautiful !!! Delicious!!! Healthy Mix of Fruits and Nuts and with some cream a definite hit with Kids!!! I love rumble and this just looks so so delcious. This is indeed a comfort dessert which i love with variety of fruits according to the season. It looks so yum,must try it once...beautiful clicks jags..
apple crumble is my favorite. adding strawberries to it is simply superb!!! Loved it ,bookmarking this one . beautiful click..
apple and strawberry crumble - wow thats a new one! 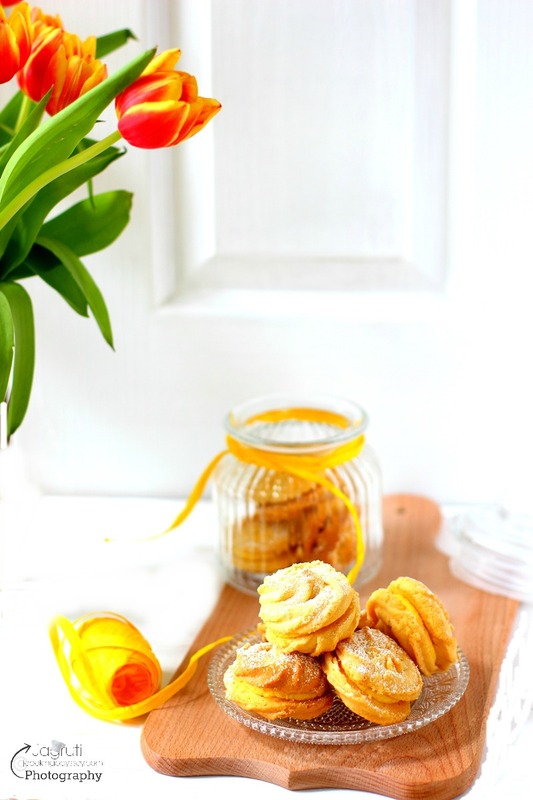 Lovely and delicious recipe. Looks yummy and tempting. Wonderful click. yum! what a delicious dessert! Wow, that sounds amazing...how amazing that something so tempting came out of a microwave. Lovely! Crumbles are so delicious. Crumble looks wonderful and tasty.I like the rolled oats topping it gives crumble a nice crunch.